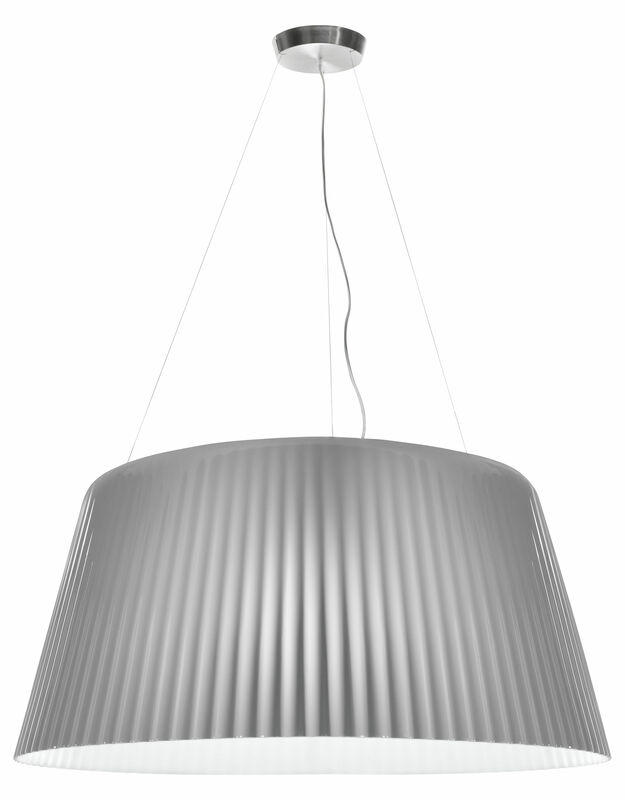 "Lampa-Daria" is a large lamp with various lighting options. 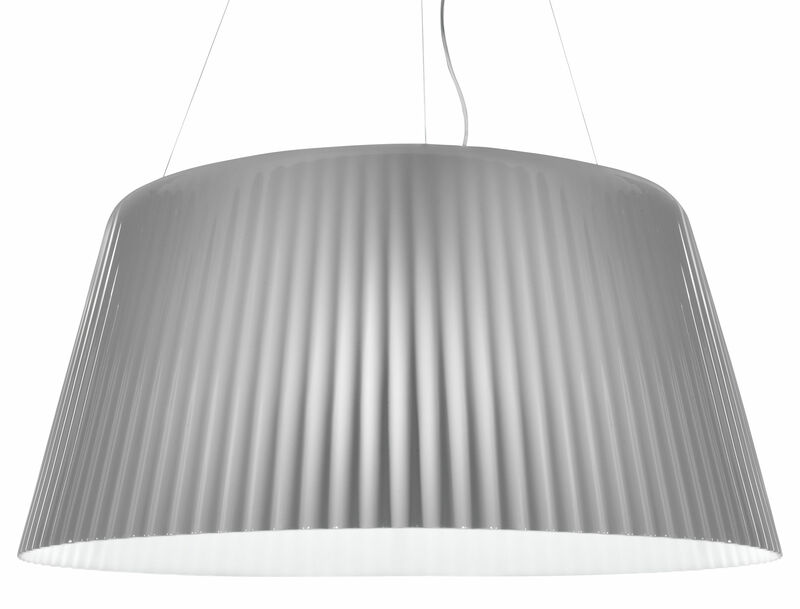 The outer shade echoes the classic fabric lightshade, re-presenting it in a new material with gigantic proportions (the outer shade shell has a diameter of 110 cm). Unlike traditional bell-shaped lamps, the shade curves- 'l'ombre s incurve vers l'intérieur pour tirer pleinement avantage du - inwards to take full advantage of the roto-oulding technology and to create the protected housing for the light source. Inside, two different light sources can be switched on individually or together to provide different lighting levels.